There comes a time in most people’s lives where you decide to make the big move away from your parent’s and into a place of your own. 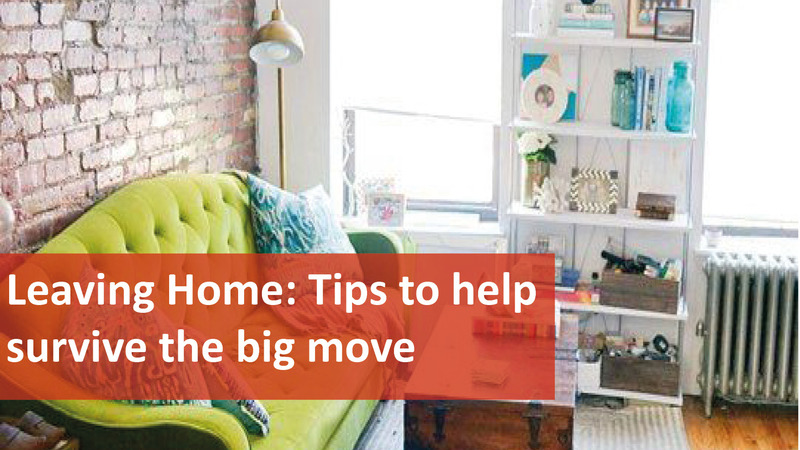 There are a few things to consider in order to make the move a successful one. Ensure you are financially independent and ready to move to avoid moving back home again if you find out you can’t afford it. Make sure to consider all costs. There will be an initial bond payment on your rental home plus 2 weeks in advance and ongoing rental payments. Utility bills such as gas, power and water also need to be factored in along with food, transport costs and maintenance on the property. Don’t forget funds for entertainment and any extra incidentals that may arise. There is also internet and television connections as well as purchasing furniture and all of those household items like towels and kitchen utensils that are needed. It is recommended to draw up a budget and calculate the costs against your income (whether it be on a weekly, fortnightly or monthly basis). There are plenty of great online sources for calculating your budget. And before you make the move…save save save and save some more! It’s important to have a safety net to fall back on to, rather than moving back home straight away. Do you need something close to public transport or does it need to be near work or university? You will also need to weigh up the pros and con of either living alone or in a share house. If you are on a tight budget than share housing may be the way to go however there are several factors to consider including if the people you are sharing with are reliable and can make the rental payments on time (and not expect you to cover them) and ensuring all the required paperwork is completed and correct. Finally, communication is another factor to consider especially if you are sharing with flatmates. To avoid any issues arising in the future, set some schedules in place like a cleaning roster, when bills and rent must be paid by and whether food is to be shared or self bought. It is also a good idea to set some house rules. It’s also important to keep in regular contact with your parents! Remember it is an adjustment for them too. Moving out can be an overwhelming time so don’t forget to ask for help if you need it, whether it be from your family or friends. Are you on the hunt for a rental property? Check out what we have available here.